Doll Bones tells the story of three friends: Poppy, Alice and Zach have been playing together for as long as they can remember. The game they play involves dolls and action figures, but what’s at its core is an involved and ongoing story the three have been telling each other about a magical realm where heroes and heroines have adventures. The realm is overseen by The Queen, a character embodied by a fragile nineteenth-century porcelain doll that belongs to Poppy’s mother and is kept locked in a glass cabinet. Their game comes to an abrupt ending when one day Zach’s father throws away his son’s action figures — because, he says, he believes that at twelve Zach is much too old to still be playing with them. Zach is crushed, but he can’t bring himself to share his pain with his friends; instead, he tells the girls he’s lost interest in the game. But Poppy and Alice have something important to tell him: the Queen, whose china may or may not be made from the ground-up bones of a dead girl, has a real-life quest for them, and ignoring her could very well mean they’ll never be safe again. 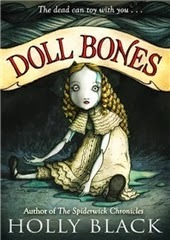 I love a good children’s ghost story, and the cover of Doll Bones alone made it seem like my kind of book. The main reason why I decided to read it, though, was Angie’s review, where she said that “this is a story about the rigid boxes of gender expectations our society tries to force us into and how the scariest part of adolescence can be trying to break out of those boxes.” These words are basically catnip for me: after reading this I knew there was no way this wasn’t going to be my first Holly Black novel. Unsurprisingly, Angie turned out to be 100% right. Doll Bones is haunting and creepy and atmospheric in all the right ways, but it’s the kind of spooky story where the human elements are much scarier than the supernatural ones — in other words, my favourite kind. Black takes a close look at how gender-coded behaviour is subtly and not-so-subtly enforced by adults and peers alike. Zach, Poppy and Alice cherish the freedom of their game, but as puberty approaches they feel like they’re being forced away from it and towards a different kind of game: a heteronormative dating game, where rigid gender roles are deeply embedded in every rule of behaviour and interaction. Because children are such excellent gender detectives, they quickly learn the rules of this game, but having it govern the rest of their lives feels to them a bit like dying. I like the quote I opened with because in it Poppy expresses the sense of entrapment and inevitability that accompanies her transition into adolescence. This sense of entrapment is in a way illusory — we do have the choice to break free; we can opt out of the game and interact with others on our own terms — but, crucially, when you’re growing up it doesn’t feel that way. The rules society tries to enforce feel like the whole world, and existing outside them like an absolute impossibility. At one point Zach thinks to himself that he “he want[s] everyone to stop talking like it was inevitable, like it would happen whether he wanted it to or not.” Having the possibility of escape acknowledged is important to these children: Zach desperately wants someone to tell him, “You won’t have to spend the rest of your life within the narrow constraints of appropriate ‘manly’ behaviour; you won’t have to give up stories and imaginative play just because society perceives them as feminine and therefore beneath you.” But unfortunately for him and his friends, most of the adults around them are every bit as scared as they are. They know that opting out of gender normativity has a high social cost — very often, your actual safety is at stake. This is what Zach’s father senses when he sees his son playing with toys, and it’s what motivates his own cruelty. I really liked the fact that Doll Bones humanises Zach’s father instead of simply presenting him as an uncomplicated antagonist. This doesn’t mean he’s given a free pass, but rather that we get to see how the cycle of enforcement of stereotypical gendered behaviour perpetuates itself. Zach’s father believes he’s protecting him from the harassment that comes from deviating from hegemonic masculinity by being the first to hurt him and trying all the harder to enforce it himself. Obviously this is an enormous mistake, but you can see the fallible, panicky logic behind his decision. 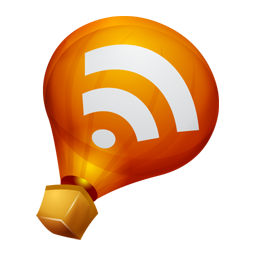 He comes to acknowledge as much towards the end of the book, and although Zach can’t quite put his finger on the how or why, he senses that this conversation signals “a seismic shift”. It’s not quite the acknowledgement he was hoping for that being put in a box is not inevitable, but it places him one step closer to that realisation, and that single step may turn out to be a life saviour. In the end, Doll Bones leaves you hoping that stories will be these young people’s rescue. Zach’s old toys are gone for good, but perhaps the story can go on without them. And while the three friends can’t fight their immersion in the complicated world of adolescence and all its social codes, they can carve out a fictional space where they remain free, and wait for a time when it’s a little bit safer to overtly reject what society expects girls and boys to be like. Another thing Doll Bones does brilliantly is portray the complicated dynamics between Poppy, Alice and Zach. As each of them navigates conflicting priorities and desires, their friendship becomes fraught with secrets, shifting alliances and fears. You kind of spend the whole book hoping against hope that they’ll be able to be open and honest with each other and that things will go back to being uncomplicated. However, even if the days of simplicity are perhaps gone for good, this doesn’t mean the three friends are doomed to drifting away from each other. Doll Bones acknowledges that children’s friendships are every bit as complex as any relationship, and that like any emotional tie they sometimes require tending. I really appreciated that. “That’s not fair,” Alice said. “Yeah, I didn’t forget,” said Zach. Poppy sounded just like his dad, except in reverse. He didn’t want to forget, and he wanted everyone to stop talking like it was inevitable, like it would happen whether he wanted it to or not. That does sound really creepy but it might be too fantastical for me. Kathy, I really don't think so. The focus is mostly on the children and their friendship, so it's a book about middle school and growing up with a tinge of the supernatural rather than the other way around. Oh, Nymeth. Now I want to read this. I had no interest in it at first. Doll Bones sounds amazing. Great review. Books that are critical of gender stereotypes are catnip to me too! This sounds great -- I haven't read anything by Holly Black but have always thought her books looked fun. It's excellent to know they're more than just fun. I have a co-worker who has been recommending this to me; I hadn't realized it examined gender this particular way. Onto the list it goes! I saw this book the last time I went to a bookshop and thought the cover was haunting. Your review made me wish I had bought it for immediate reading. I get how being pressured to conform to gender expectations can be quite frightening and I haven't read many stories on a child's transition into adolescence that acknowledges this. Sounds creepy! And definitely right up your alley. I've struggled with Holly Black before, but I HAVE to read this one! The gender issues are enough to reel me in. This sounds too good to pass up. Adding it to my TBR list! I like Holly Black but I thought this might be too creepy for me. But perhaps I should give it a try. The cover of this would normally turn me off, I like a scary story but not creepy doll stuff :), but after reading your review I want to read it now. The gender roles that we force on our kids can be so tough, let kids be who they are. I've got a daughter hitting middle school and I can relate to how hard it can be for kids to navigate this time of their life. Nice review. I also really liked this one. The ghost story was well-done, but it was the growing-up side that really resonated. I LOVE that quote you opened with, and completely agree with you about the value of humanizing Zach's father. There's plenty of stories with harsh parents as the heavies, but it's nice to see one where we're reminded that the parent is a complicated human too.